Midwives and Nurses are a great way to track down female ancestors and family – you might be surprised at how many were involved in one or both of these occupations. You could find them in various references, certificates, and newspapers throughout the 1800s and 1900s but the gold-mine of information can be found in the Victoria Government Gazettes when the official registers were published annually for many years. This photo is of Midwife and local nurse, Grannie FERRIS – Grannie died before the official registers commenced so she doesn’t appear in them but is typical of a country midwife. These traditionally female occupations – midwives and nurses – were some of the very few that were open to both single and married women. The talk on female ancestors, particularly midwives and nurses, complete with plenty tips on how to research them, will be on Wednesday 16th May, 2018, from 1.00 – 2.00 pm followed by a cuppa and chat. Location: Kings Chapel, 130 Bellarine Highway Newcomb. There is plenty of free off-street parking in the grounds. Next Why you should hear it live! Pleased to see Granny Ferris a feature. A very interesting ancestor of mine. William Butler and Sarah Jane Harding were my grandmothers parents. John Butler and Susannah Chambers were William’s parents. Granny Ferris was his grandmother. Grannie FERRIS was the mother of Susanna BUTLER nee CHAMBERS – does that match with your records? Sorry you confused me by saying that Grannie FERRIS was HIS grandmother – got a bit lost there? Yes , correct.. William Butler is the son of Susanna Butler (nee Chambers.) William Butler was the father of Elsie Irene Butler and that is my grandmother. (on the paternal side.) 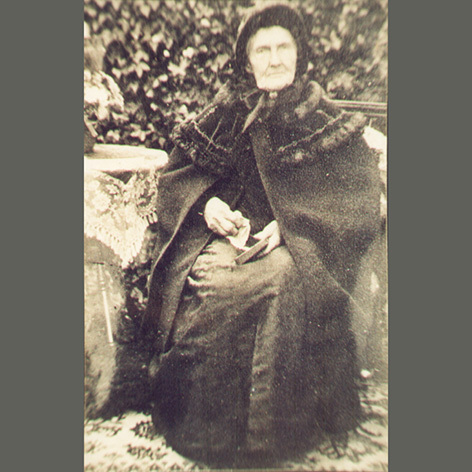 Granny Ferris was William Butler’s grandmother. Always nice to agree! Are you coming to the talk? As much as I would like to, I cannot. I live in Cairns. (Nth Qld.) So airfares are pricey. But I would dearly love to be there. Hi Suzie, Living in QLD I am unable to come to any talks. My mother and 4 sisters are/were nursers in Geelong. I would be interested to get a copy of the talk so they can read it. Is this possible. Hi Sue – there is no such thing as “a copy of my talk” as I don’t produce a ‘talk’ – I just talk about the subject – different every time I do one! Suggest you go to this web site which has information on the midwife and nursing registers I talk about. Hope that helps … Susie (not Suzie) !